Dockless bike-sharing, like dockless e-scooter renting, has proliferated across the U.S. at a rapid clip that hasn’t always gone over so well. Nowhere has it developed into such an issue like the City of Seattle, Wired contends today in a deeply-reported feature. WHEN DOCKLESS BIKE share began in Chinese cities three years ago, the downsides of the idea soon became apparent. Tens of thousands of broken or stranded bikes littered those cities before their governments cracked down, impounding bikes and setting limits on their use. Seattle’s Department of Transportation wanted to avoid that mess. As it turns out, dockless bikes are being adopted very quickly by Seattleites, Wired found, with bikes getting used three times as much when compared to the rest of the country. But like any new recent mobility innovation as of late, the sudden arrival of tens of thousands of bikes didn’t sit well with everyone. The thousands of new bikes in circulation inevitably led to conflict with residents. According to the feedback collected by Seattle’s transportation department, car owners are blaming shared bikes for scraping their vehicles. Residents are peeved that unsightly bikes are clogging up sidewalks, parks, and driveways, making the streets less navigable for pedestrians and annoying local businesses. Vandals have been systematically cutting brake cables of bikes from all three companies. Some activists are now trying to oust the bike companies. They were also getting tossed into lakes. “As soon as I saw the bikes on the roads, that same week we started seeing them in the water,” says scuba instructor Mike Hemion, who teaches commercial divers in Seattle’s bays and lakes. “Three out of four times when we dive downtown on the waterfront now, there’s a bike in the water.” In the early days of these water retrievals, workers were expected to fish them out themselves; LimeBike workers even cobbled together a makeshift grappling hook to snare them. 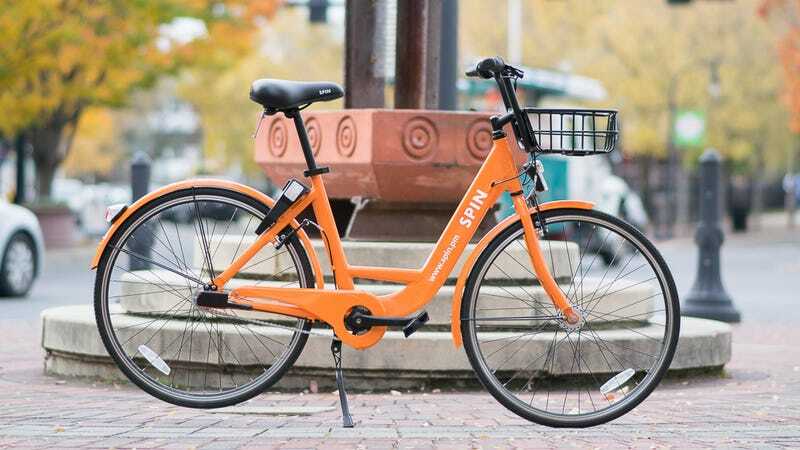 Now the three bike share companies just call Hemion. You really should read this entire story, as it’s really driving home a key question that seems to take a backseat when bike-sharing startups come to a new town: Can people actually be trusted with them? I really don’t know if they can.